So here is my healtier version of a classic cinnamon bun stuffed with fruits and nuts – and dark chcolate. Who can resist that anyway?! I always think of my grandmother when I make the dough. She used to add cardamomme to her bread. Anyway, this is the dough I use for classis cinnamon buns as well. See the filling below, if you want the sweeter version. Pour milk and yeast into a big bowl and stir. Add the remaining ingredients and knead until the dough is smooth and pliable. Cover the dough and let rest for about 1 hr or until doubled in size. Put a little flour on the counter top to avoid sticking and roll out the dough to a rectangle app 18″x12″ or 45 x 30 cm. 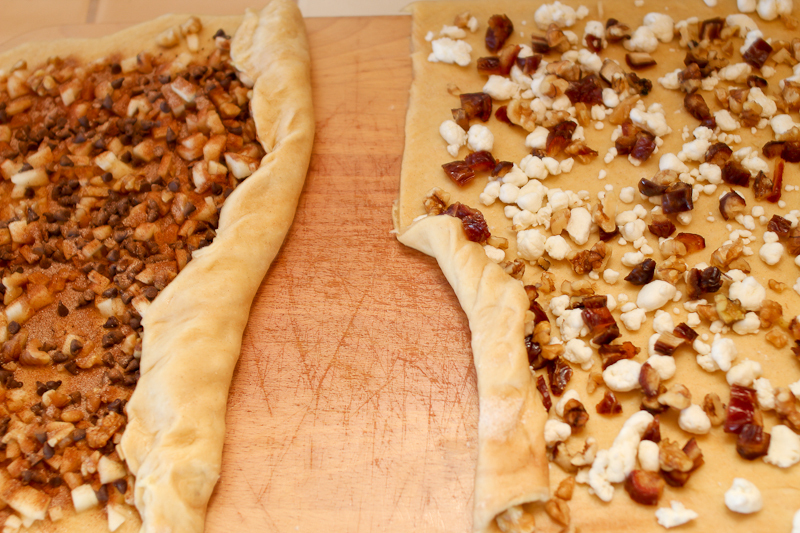 Spread the filling evenly onto the dough. Roll into a log and cut into pieces app 3/4″ or 2 cm wide. Put in greased muffin pan. Bake for 12-14 min. You can cut the dough in half after rolling it out and make 2 different types of buns from one dough. If you use the cardamomme dough and want the lemon flavor with your goat cheese, walnut, date buns, then top filling with some fresh grated lemon zest. 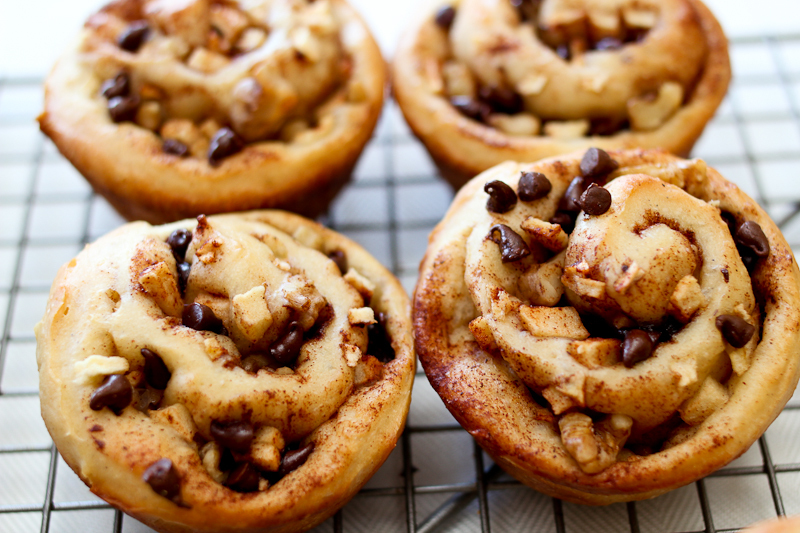 This entry was posted in Breads & crackers, Sweets and tagged apples and nuts, brunch, cinnamon bun, cinnamon rolls, healthy food blog, kanelsnegle, picnic food, recipes. Bookmark the permalink.